Behind the Scenes|| Goofing Off. 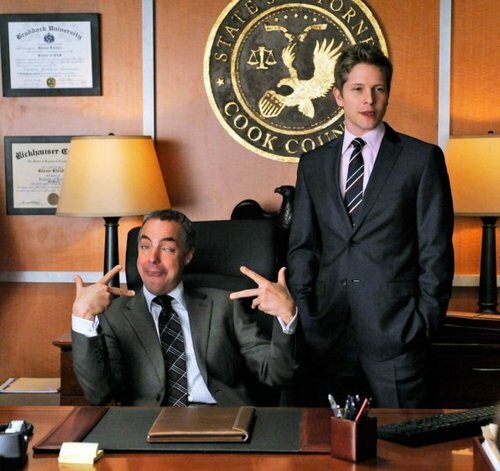 Titus Welliver goofs on while taping a scene with Matt Czuchry during Season 2 of The Good Wife.. Wallpaper and background images in the The Good Wife club tagged: the good wife season 2 cast cbs. This The Good Wife photo contains business suit, suit, suit of clothes, and three piece suit.